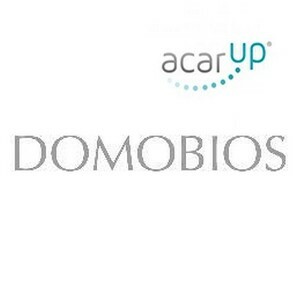 Domobios has developed a disruptive innovation in the field of house dust mites’ allergies, after 7 years of researches in 3 Belgian universities. Our solution, ACAR’UP, is a trap device designed to extract and kill the allergenic dust mites living in mattresses, sofa, chairs, carpets and other upholstered furniture. Acar’up exists also for veterinary purposes. ACAR’UP is supported by allergists and commercialized in pharmacies with solid scientific and clinical evidences. Main benefits are efficiency, innocuity and ecological (no biocides), ease of use, and transportability. Our mission is to make the life of dust mite-allergic people easier while offering an effective, ecological and healthy solution which will improve the quality of their everyday life.